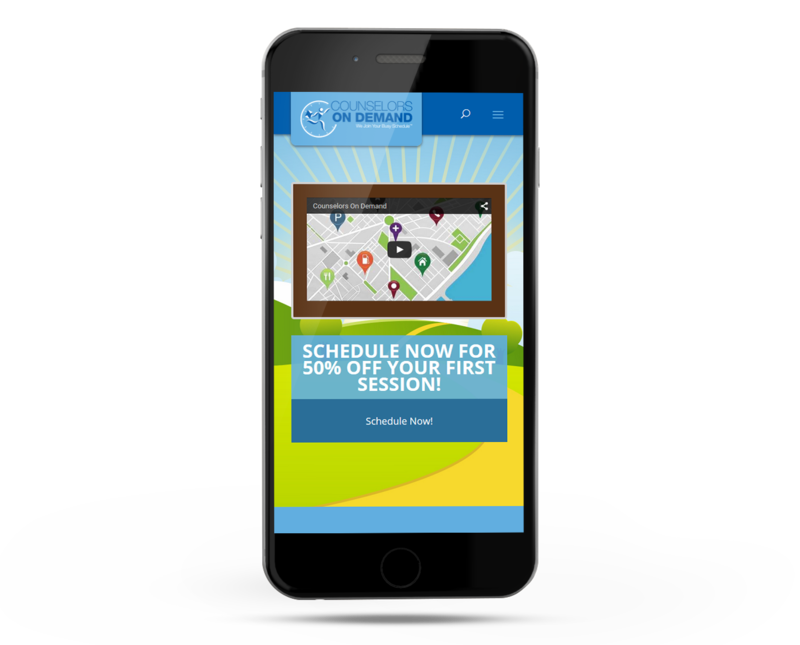 Counselors On Demand is a great new company dedicated to providing personal and tailored counseling services and whose mission is to promote self-care world wide. At Counselors On Demand you pick the counselor, the time, and the place you want to meet. You can choose to go jogging together, meet in a park, or sit down at your favorite coffee shop near your home or office. 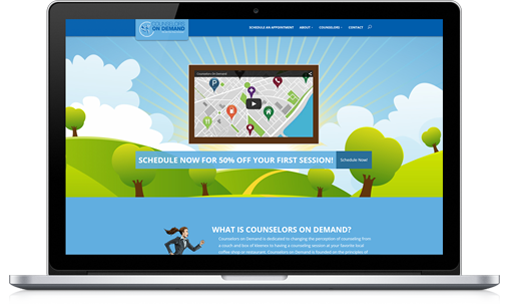 Counselors On Demand came to us for a complete re-branding, including a new name, logo, and a website. This post will only focus on the website portion of the project. After completing the logo design, we began designing a new website to be launched along with their new brand. 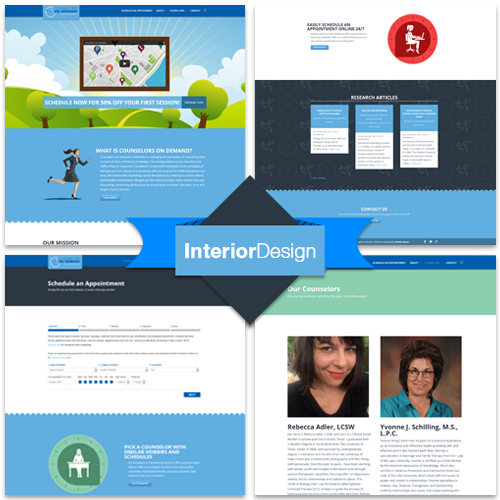 Our clients wanted a modern, colorful design that looks great on mobile devices. The main feature of their new site is their advanced, user-friendly booking utility that lets you easily schedule an appointment with the Counselor of your choice. Also, you can easily which times are available. We knew that Counselors On Demand wanted a design that promotes a comfortable, friendly atmosphere that reflects the counselors personalities. For this reason we chose a color palette with soothing blues. 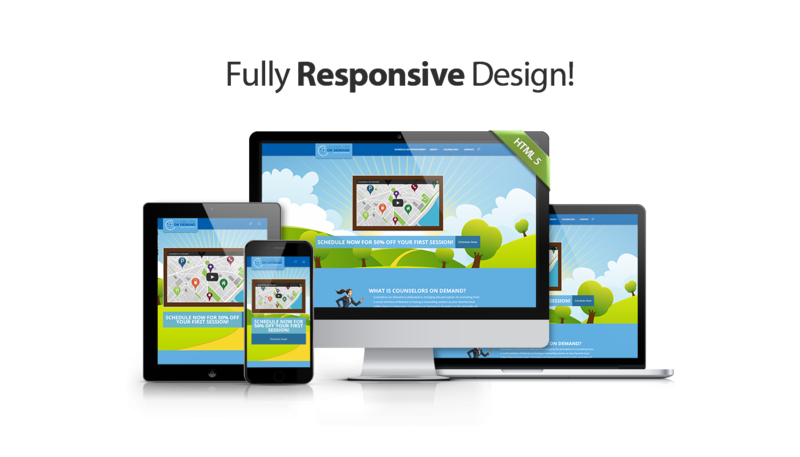 We know how important a mobile friendly website is in this day and age. 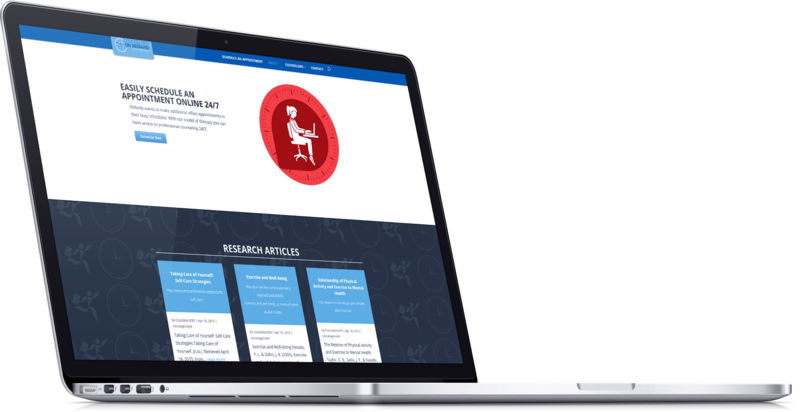 We built Counselors On Demand using the latest standards in responsive design. We put every effort into making a seamless mobile experience on every device.